Originally published in 1940, this classic study of two schizophrenic case-histories further opened up the seemingly intractable problem of this condition; a task preceded by Jung’s own Psychology of Dementia Praecox. 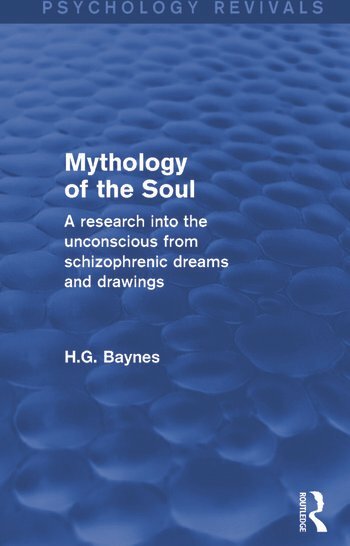 It was Baynes’s grasp of the meaning of the symbol coupled with his wide scholarship that enable him to explore the case-histories in such remarkable and fruitful depth, thus linking pathological psychology through graphic expression and the dream of the myths of mankind and the universal man. This was truly a scientific task. In case 1, the series of dreams, fantasies and active imagination, fully illustrated by the patients’ spontaneous paintings, suggested to him a kind of mythological imagery. Baynes then demonstrates the emergence and development of a hero myth together with its therapeutic effect upon the patient, as an inner personal experience of death and rebirth. Baynes also applied the methods of synthesis to the understanding of modern art and its reflection of the spirit of the times – a realization of the basic split in the socio-religious structure of European Culture. In case 2, the subject was an artist, and out of his own split he seemed to have created a symbolic bridge that would be a therapeutic bridge for himself and a possible model for curing the evil of the times in which we then were living. Foreword. Introduction. Part 1 1. Psychiatric Antecedents: Development of the Psychological Conception of Mental Disorders 2. History of Subject and Dream I 3. Analysis of Dream II 4. Content of Drawing I: Statement of the Problem 5. The Infantile Psyche 6. The Cultural Psyche 7. The Horrific Aspect of the Unconscious 8. The Maternal Aspect of the Unconscious 9. The Heroic Combat 10. The Assimilation of the Dragon’s Virtue 11. The Phase of Yin: Birth of the Life-Giving Symbols 12. Restoration 13. The Symbol as Ruler and Transformation of Instinct Part 2 1. The Introverted Subject 2. Distortion 3. Orientation 4. Recognition of the Split 5. Solution or Dissolution: The Problem of Psychic Continuity 6. Transformation from Animal to Tree 7. The Phase of Yin 8. Solution of the Complex: Birth of the Living Symbol 9. The Shadow Casting the Reality 10. The Birth of the God 11. Christian versus Pagan. Conclusion. Index.